Mix more than 200 undergraduate MESA students in Silicon Valley with dozens of industry professionals and the result is electric. 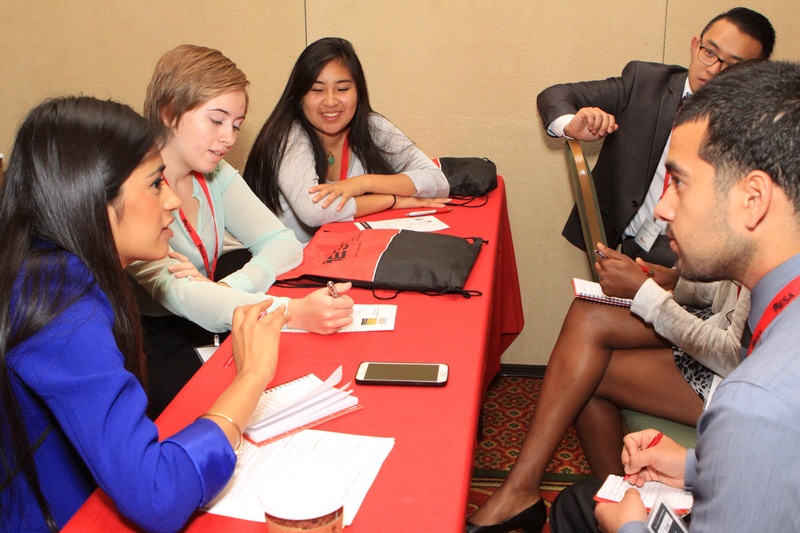 During MESA’s 12th Student Leadership Conference students gained the soft skills imperative to be a competitive employee in the science, technology, engineering and math (STEM) industries. Workshops on effective communication, self-branding and emotional intelligence — skills shown to be essential for a well-rounded and successful career — combined with mock interviews, team-building exercises and dynamic key note speakers during the two-day conference. Actor and scientist Christina Ochoa led an improv night for students to boost confidence in professional situations. Alonso Martinez, a technical director at Pixar and robot-building hobbiest, encouraged students to excel both in academics and side interests. Aneita Gage, an Intel engineer and the 2015 MESA Outstanding Alum, emphasized the value of mentors. More than 40 mock interviewers volunteered for the conference from companies including AT&T, Cisco, PG&E, Jabil, Lockeed Martin and CalTrans. Industry volunteers left just as energized as the students. So much so, students are in talks with some volunteers about potential upcoming internships. That makes for success in Silicon Valley any day.